Rei Scampavia and Karl A.D. Evangelista dabble in structure. Karl A.D. Evangelista tried to remember something that experimental jazz artist Sun Ra once said because it applies to Evangelista's art-rock band, Grex, and his new album, Electric Ghost Parade. He paraphrased: "It's going to come out stranger if you compose it." This record, Grex's fourth official release — the sixth if you consider Evangelista's two solo records — has been in the works since 2014 and is the closest the Oakland duo has ever come to a standard pop-rock record, at least in the sense that the compositions are written with structure in mind. Coming from a free-jazz, improvisational background, creating spontaneous art was Evangelista's general methodology with Grex. But with Electric Ghost Parade, which will be released July 20, he decided to start with structure and build from there. It's hard to tell if the results are more or less weird. "The idea of actually writing something that is stranger than the conclusion you would come to spontaneously, that is still frowned upon in certain circles, for me it just seemed to make sense," Evangelista said. "If we improvise long enough, we might come to certain conclusions, but to write it out will give it a sense of structure and dynamism it wouldn't have otherwise had." 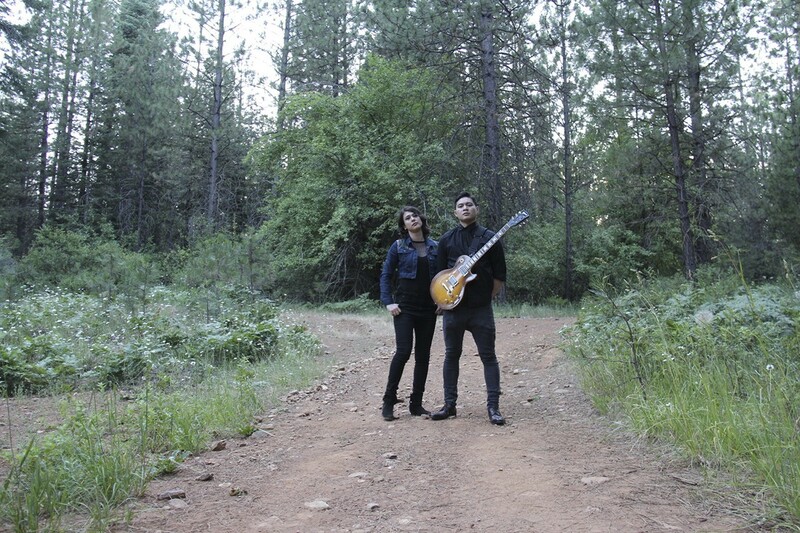 When Evangelista (guitar, vocals) and partner Rei Scampavia (keys, vocals) recorded the first Grex album, Live at Home, back in 2010, there was virtually no premeditation to the songs. They stayed up all night and improvised relentlessly, later cutting and pasting songs together for the album. "It was completely chaotic," Evangelista said. "The songs were culled from these really long stretches of improvisation where we would play the songs over and over again with no break. Gradually, it became way more formalized because we realized not only was that inefficient, but it was sort of emotionally impractical." Evangelista said, in those early days, he was a very different musician. He was still coming to terms with his identity as an artist. At the same time, he was a little intimidated by the tremendous talent of the other players around him at Mills College, where he and Scampavia studied music. When he jammed with other students and instructors, he'd tense up and focus on all the things he wasn't supposed to do: Don't play too loud. Don't mess up the tone. His jam sessions with Scampavia became a place where he could do literally everything he considered "incorrect." "The band felt confrontational," Evangelista said. "You can make these ideas which seem impractical work if you can find a way to rationalize them. I feel like that aspect of the band hasn't changed. It's more a matter of constructing something rather than standing against something." The songs on Electric Ghost Parade still have moments of improvisation and madness, but they are much more controlled, with the changing sections, while sometimes startling, carefully matching the mood of the song even when it steers away from standard rock structures. The resulting songs are dynamic and at times quirky and jubilant, like something Bay Area avant-pop band Deerhoof might play. Some of the idea for this record came after Evangelista was watching clips of Jimi Hendrix on YouTube and recognizing elements of his free-jazz training in Hendrix's guitar playing. He and Scampavia set out to write simple parts with special sections they could improvise within. "It was all about finding a way to integrate the improvised content in a way that was meaningful and not just chaotic," Evangelista said. The bones of the songs were just the beginning. Much of the final arrangements were workshopped live at shows. It was hours and hours of performances that led Evangelista and Scampavia to refine the songs. "We were playing punk venues. We were playing DIY spaces. We were playing concert halls and galleries, just trying to find the sound of it," Evangelista said. "I feel like this is the first work I've done in any form where it started from the germ of almost nothing in terms of what the music would sound like, honed into a product that was complete." This process helped them give the record its emotional core as well, as they would bounce ideas off of the audience and see what they reacted to. "Martha," the third track on the album, was a favorite with crowds. The song tells the story of the world's last known passenger pigeon. "It's sort of a testament to the fundamental destructiveness and sadness of the culture that we occupy," Evangelista said. "At the same time, it's the culture that gave us Jimi Hendrix and jazz. That's the narrative complexity of it." The basic tracks were recorded way back in 2015 along with drummer Robert Lopez, who plays with the band occasionally. In the subsequent years, they meticulously worked on vocals, overdubs, and textures. As they continued to put so much time and effort into the project, they felt the stress and strain of never knowing if all their hard work would pan out and if anyone would care about what they were creating.